Join a new startup from Santa Monica, California called "the AirBnB for guest experiences." RAD is looking for a motivated, senior application engineer who loves the experience of travelling and exploring local cities. TTL provides next-level talent experiences to align people across the globe with opportunities to fulfill minds, fuel economies, and enrich society through the future of work. 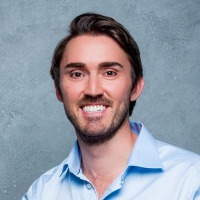 TTL is led by U.S. entrepreneur Dane McLeod (http://bit.ly/2BLNoHL) and a few incredible people who helped Ukrainian startup Viewdle sell to Google (http://tcrn.ch/2BIjLHt) and brought Ring to Ukraine (http://bit.ly/2Gaukq6). We look for individuals who are focused, intelligent, and desire both a career and a lifestyle - not an ordinary job.